The Bay Area blues scene has thrived ever since World War II brought an influx of African Americans to the region. Two decades later, Bill Graham started presenting blues artists on the same bill as rock bands, introducing the electrified Chicago sound to new audiences. But an older tradition was already in place, an acoustic sound that provides the primary inspiration for the blues band HowellDevine. The trio’s new album "Modern Sounds of Ancient Juju" harkens back to the blues’ Delta roots. While the band’s name might seem too perfect, HowellDevine came by their moniker, and their irresistibly rootsy Delta sound, honestly. With Joshua Howell on slide guitar, harmonica, and urgent yet laid back vocals, and the loose but lockstep rhythm section of bassist Joe Kyle Jr. and Pete Devine on stripped-down drum kit and occasional washboard, the band boasts an open, uncluttered sound that taps into the blues’ roots without sounding like mimicry. 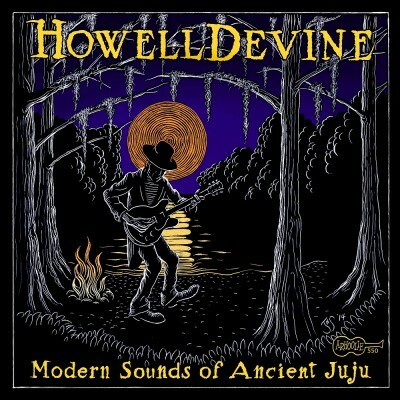 Many white musicians have contributed to this essentially African-American cultural expression, and what makes HowellDevine’s music so engaging is the way they combine their command of the acoustic idiom with an awareness of the entire blues continuum. The effect can by revealingly uncanny, like when they tear into Bukka White’s “Shake ‘Em On Down” and it sounds like a lost, unplugged side from Jimi Hendrix circa 1967. 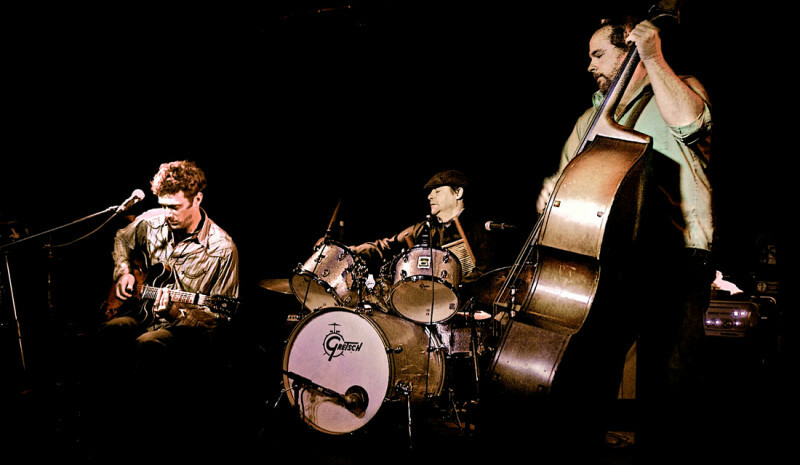 Wobbles, HowellDevine has become one of the busiest blues combos on the Bay Area scene. It was the first blues album in almost three decades released by Arhoolie Records, the storied East Bay roots label whose founder, Chris Strachwitz, is the subject of the fantastic new documentary "This Ain't No Mouse Music." "Modern Sounds of Ancient Juju" makes it even more clear why Strachwitz, who recorded classic albums by the likes of Lightnin’ Hopkins, Mance Lipscomb, and Fred McDowell, was struck by the band’s juke joint grooves. Howell learned the blues ropes as a teenager in the early 1990s sitting in at Oakland joints like Eli’s Mile High Club. After earning a degree in philosophy from UC Santa Cruz, he went on to apprentice with Arkansas-born country blues master Robert Lowery, who had settled in the Monterey Bay area back in the '50s. Devine got his start in the late '80s with Bo Grumpus, a band with a vast repertoire of rags, stomps, marches, and early jazz numbers. More recently he’s played jump blues with Lavay Smith’s Red Hot Skillet Lickers, Gypsy jazz with Gaucho, and led his own jug band. He and Howell met about four years ago playing at a Mission District club, and ever since, they’ve been honing a sound that brings the blues back to the front porch. "Modern Sounds of Ancient Juju" closes with “Railroad Stomp,” a smokin’ original recorded live at The Baltic in Pt. Richmond. 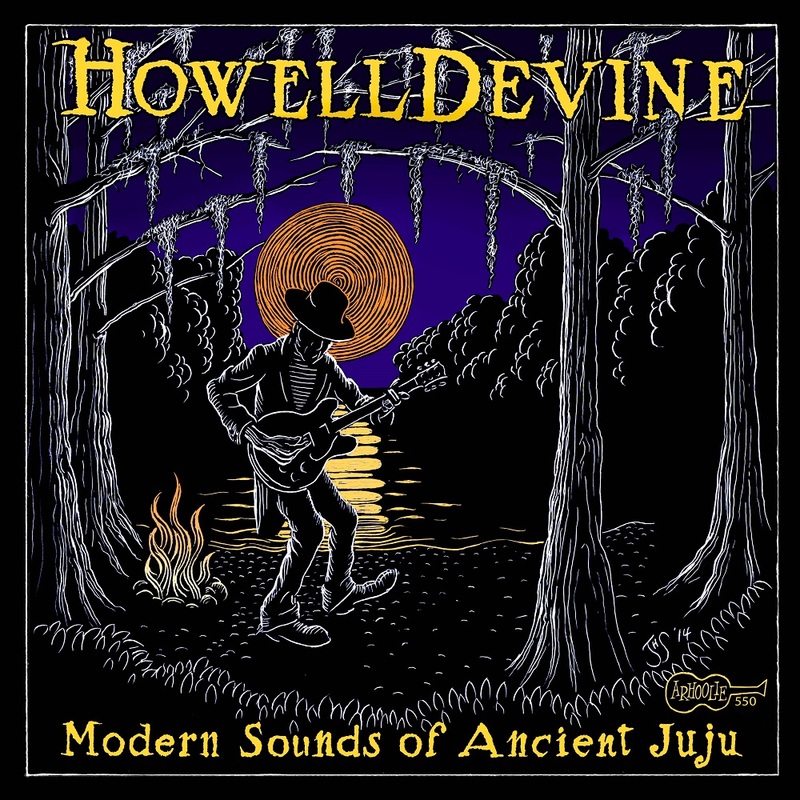 The tune powerfully evokes the trains that played such a big role in the music’s journey from rural landscapes to urban settings, a migration that led to the eclipse of the country blues that HowellDevine plays so well.